For the first challenge at SCS, I used a technique called Splash Watercolor. It is a bit different than the way I work with Distress Inks. I used a Unity image. 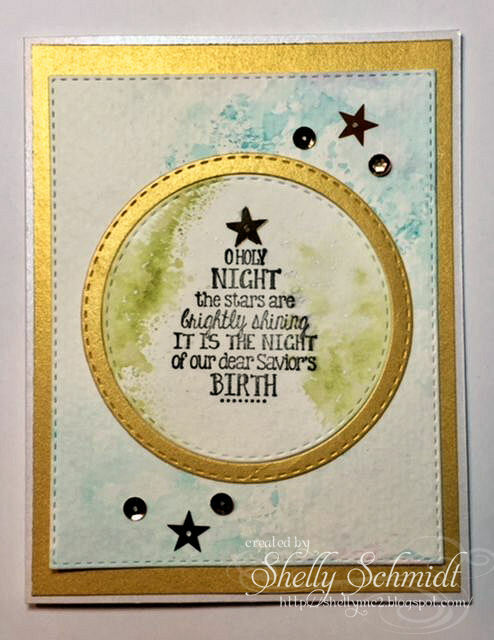 The cardstock is white shimmery, Gold metallic and watercolor paper. Sequins are SU. Distress inks are Broken China and Peeled Paint. The image is from Createful Heart Digis and is the stamp of the month at The Outlawz progressive challenge. I colored it with Copics. The DP is unknown. I added tree dies using Glorious Green and Wasabi. The fiber was in my stash. For my outdoorsy son, this is spot on! Love it and will sent it to him before I put it away and forget about it! Both of your cards are beautiful Shelly. You really did a wonderful job with all of your creations!!! Love your cards. The SCS technique turned out well. I watched the video and can see your pouncing. Shelly, both of these cards are very nice. You've sure made a lot of them lately and each one is awesome! Love them both, Shelly. Hope you had a fun time with the Falliday Fest! I didn't get a chance to complete all of the challenges this time but have been so inspired by all of the entries. Your work is lovely, as always. Fab cards Shelly! Love the first one because it's such a classy and elegant card. The second is so homey and welcoming plus I like the little scene. Great card Shelly. I love the Christmas sentiment! Two wonderful cards to end this fun event!! 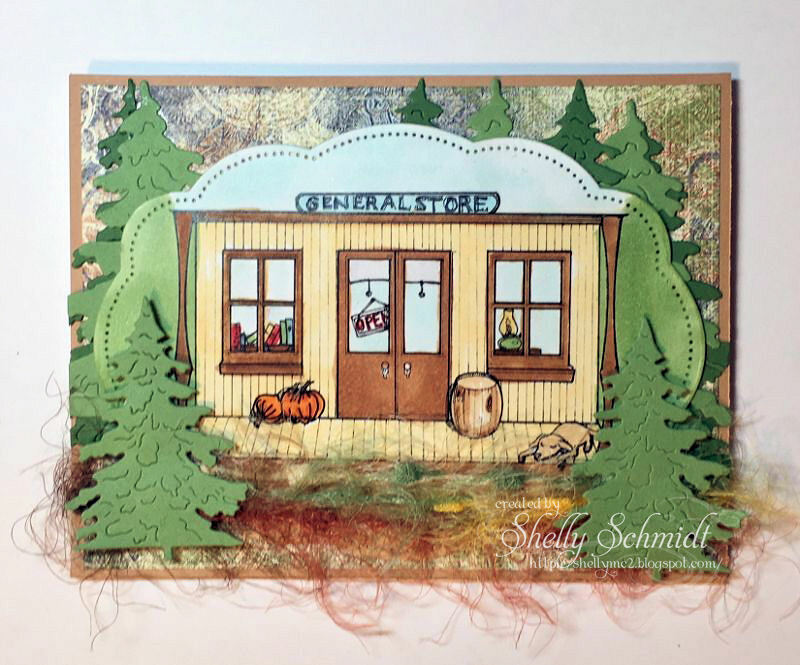 That General Store card is a stunner, Shelly! What an exquisite design.